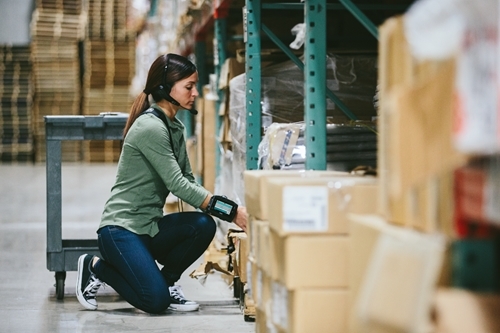 Next-generation warehouse management software is now being implemented by a large and growing number of logistics companies so that they can better track just about any aspect of operations within their facilities. But with this in mind, it's vital for companies to implement WMS the right way, and that means carefully monitoring every aspect of the roll-out for these new systems, and making sure everyone who will use them on a regular basis knows exactly how to utilize them. In fact, a strong user experience is often seen as one of the most important components of proper WMS implementation, particularly when transitioning from a legacy platform that doesn't allow for mobile data collection, for instance, according to Frontline Consultancy. That means it's vital for any companies that are now adopting new systems go through sufficient training for everyone who will be involved, but also work to ensure the platform itself is intuitive. This is crucial because, even with the right training, problems can crop up if WMS platforms are difficult to use or understand, and that it meets employees' needs on Day 1. Another potential hurdle for logistics businesses as they try to adopt modern WMS is that it's not always easy to know exactly what they'll need from these newer offerings, at least not right away, according to PC Magazine. The reason for this is that many companies may have a lot of ideas about what they want a WMS platform to do for them based on their current needs, but no real practical way to determine the best approach for dealing with those issues. As a consequence, it's vital to do as much homework as possible even before adopting, and making sure there's wiggle room to add new features that they might only be able to learn about after using their upgraded systems for a short period. That might be especially true as modern WMS begins to rely more the internet of things, storing data in the cloud, and so on, the report said. While it's always a good idea to find as many ways as possible to pull data from the supply chain, companies need to be able to shift their strategies if they feel they can get better results down the road. Meanwhile, there are certainly missteps companies can make as they ramp up their use of new WMS, including the decision to alter the code of those platforms themselves, according to Deacom. This can not only make systems operate at less than peak functionality, but it can also be expensive. "When you make a code change, you now have to pay all that money to have that change put into the next version you are going to use, or you are never going to upgrade," Jim Fragnoli of California Custom Fruits and Flavors, told the site. "That can become very costly." The more companies can do to plot their course before they implement a new WMS platform, the better off they will be when it comes to getting the most out of it, in terms of both more productivity and a stronger return on investment.